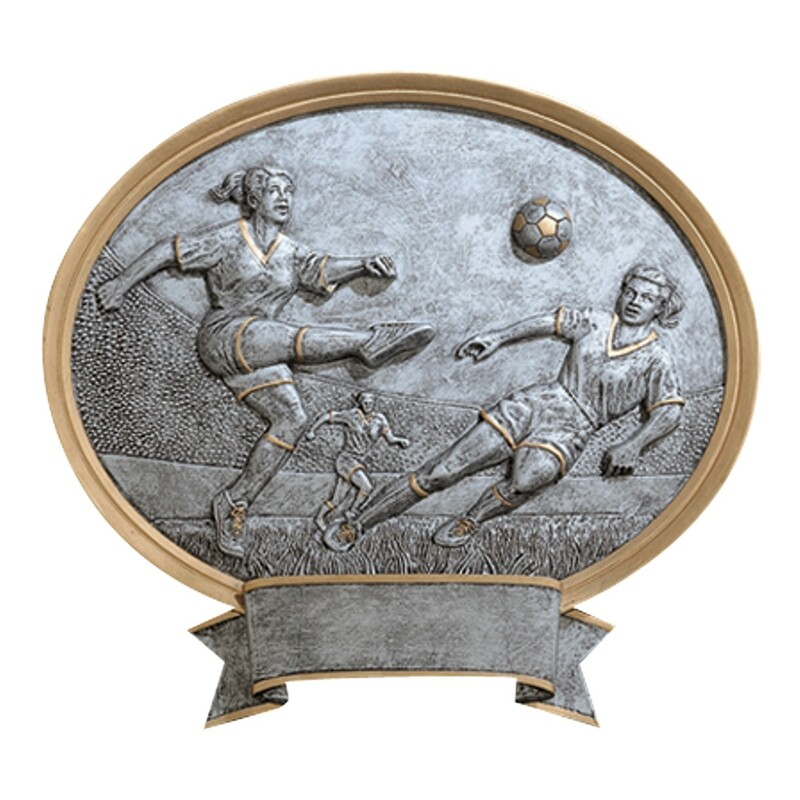 Make your soccer team proud with this grand award depicting female soccer players in action. 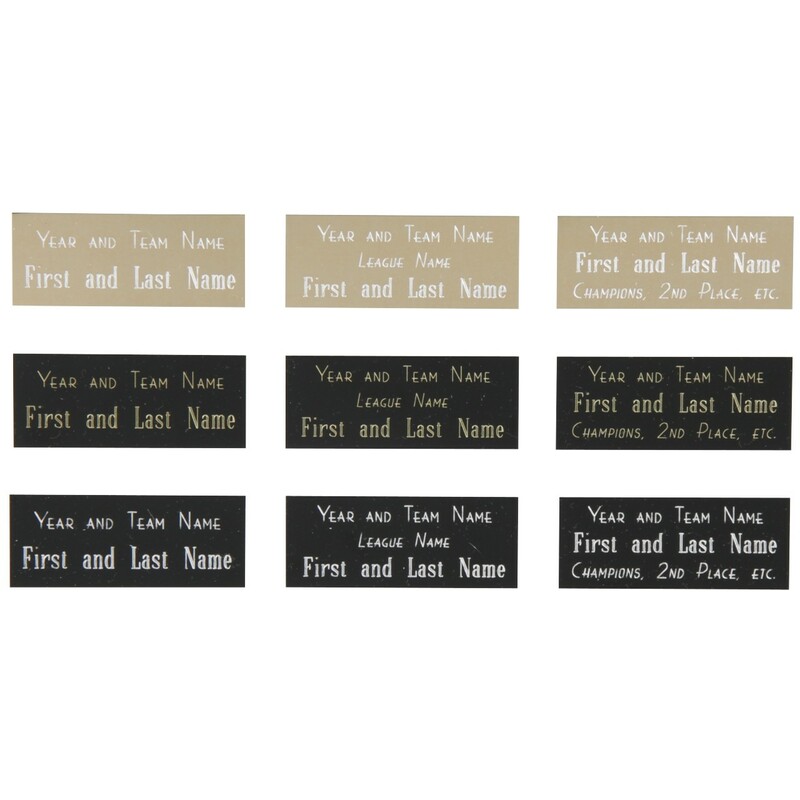 This award can stand on any flat surface or hang on the wall with the integrated hook on the back. The Female Team Oval Soccer Awards are grey colored with golden highlights to resemble antique pewter. Award these exquisite trophies at your next girls' soccer match!